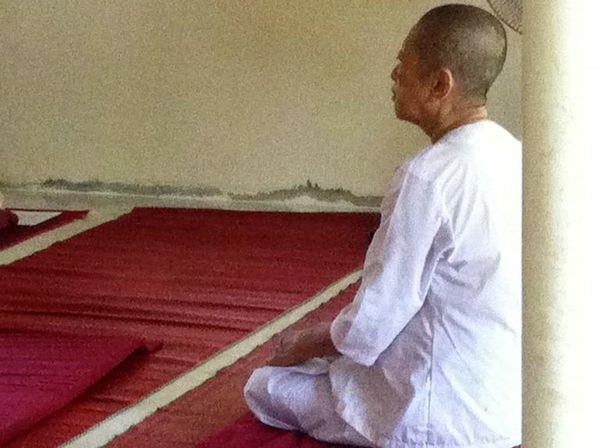 Mae Chee Ahmon founded and built the Khao Tham Meditation Center more than 30 years ago. Her strength and vision grew the Center over the years and her presence is felt still. She is also called “Mae Chee Mama” by the local Thais. Mae Chee means “nun”. 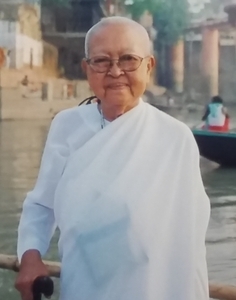 Mae Chee Ahmon was one of many strong women in Thai Buddhism. Mae Chee Ahmon passed on in June of 2017. Her chedi is the large white structure you see on the left, on the way up to the temple and meditation hall at Khao Tham.